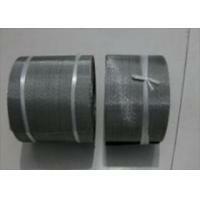 Reverse Twill Dutch weave wire mesh combines dutch and twill weaving to provide a fine mesh filtering cloth. 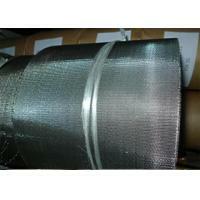 The weaving process allows for the use of very fine wires, producing filtering mesh for gas and liquid applications. 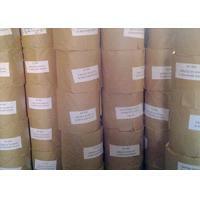 We could also provide Herringbone and Broken Pattern Reverse Twill Dutch Weave Products. We usually offer High Tensile warp wire configurations that are commonly used in Auto Screen Changers used in the plastic extrusion industry. We usually offer High Tensile warp wire configurations that are commonly used in Auto Screen Changers used in the plastic extrusion industry.Stainless Steel Wire Mesh Belt is corrosion and rust resistance,high resistance due to tight wire position,extreme low absolute grade of fineness,acid alkali and Heat resistance. Stainless steel reverse dutch wire mesh is suitable for filtering of plastic wire drawing machine, stretch film machine and coating machine. 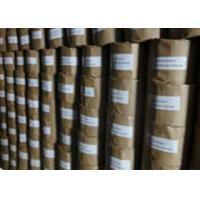 Such as plastic woven bag, plastic film etc.Reverse Twill Dutch weave wire mesh combines dutch and twill weaving to provide a fine mesh filtering cloth. 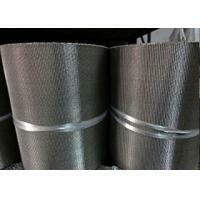 The weaving process allows for the use of very fine wires, producing filtering mesh for gas and liquid applications. 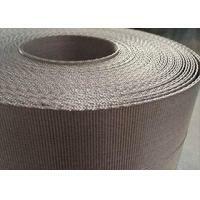 We could also provide Herringbone and Broken Pattern Reverse Twill Dutch Weave Products. · High Tensile Warp Copper Coated Carbon Steel wire for Auto-Screen Changers used in Plastic and Rubber Extrusion industry.
. Rubbed Edges after slitting to help with tracking for Auto-Screen changers.
. Plasma and laser cut parts to help prevent edges wire fraying.
. 100% Inspection of Wire Cloth for critical applications such as sand screens and aerospace smooth surface,high hardness,continuous net,high temperature resistance,corrosion resistance and so on.
. Suitable for plastic wire drawing machine, stretch film machine, coating machine filters, such as plastic woven bag, plastic film.
. Used for plastic recycling filter, otherwise wafer type,single or multi-layer molding machine filter.
. 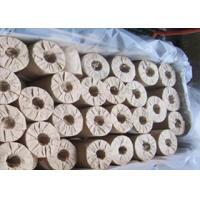 Reverse Dutch Filter Belt to be used in auto screen changers are widely used in the plastic extrusion industry. for polymer melt filtration in every segment of plastics processing such as blown film, blow molding, sheet and film extrusion, filaments and fibers.
. Be widely used in ribbon style continuous screen changers. (automatic screen changers).
. Major in Plastic Extrusion,Melt Filtration and other plastic industry Filed for PP,PS,PVC,ABS,PE,PET etc. 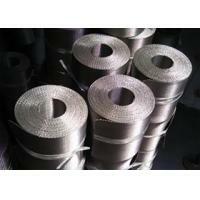 Established in 2011, Anping Milesen has become specialized wire mesh manufactures in Anping. This is a lean team work, operated and managed by experts of wire mesh in international business with more than 12 years working experience; mesh woven and quality controlling with more than 15 years ever trained and worked in most professional plants. Woven mesh is our main products, including stainless steel woven mesh, galvanized woven mesh; plain steel woven mesh; Copper mesh, and mesh further fabricated items: Slitting mesh & mesh discs; Square Mesh: Mesh 1-- Mesh 635, finest Dutch Weave Mesh 2800mesh; 3m width is available, with light table manufacturing & inspection process; Stainless Steel and other special alloy Reverse dutch woven mesh is a hot product in plastic industry. The variety of woven wire cloth material and weave designs allow this material to be used in many common and not so common applications. This includes filters/strainers, gas diffusion, dewatering, burners, vent and Nox screens, sizing/sifting, drying and much more.The wire mesh made of stainless steel is extensively used in mining , chemical industry, food industry and pharmaceutical industry. 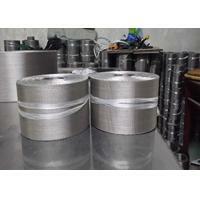 Stainless steel woven wire mesh is widely used in applications such as filters, strainers, baskets, sieves, separators, and sorters. 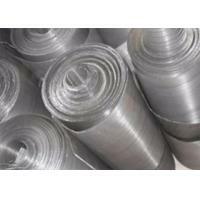 Woven wire mesh is the ideal choice for applications that require both precision and strength. 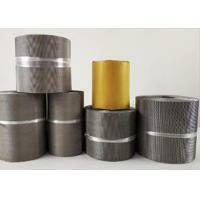 This advanced material is available in various alloys, and forms such as rolls, cut pieces, and custom sizes. Weave types include plain, twill, Dutch, twilled Dutch, and reverse Dutch.